Washington: Indian American Senator Kamala Harris has officially kicked off her campaign for the Democratic presidential nomination at a rally where she warned that the US and the world were at "an inflection point" in history and called on all Americans to "speak the truth about what's happening". Harris announced her official bid to run for President in 2020 on January 21. Before a crowd of more than 20,000 people in her hometown Oakland, Harris threaded together a biography from her years in the Bay Area with her work as a prosecutor and a senator, and set those details against a broader populist vision about "running to be President of the people, by the people and for all people." "We are at an inflection point in the history of our nation. We are here because the American dream and our American democracy are under attack and on the line like never before... When we have leaders who bully and attack a free press and undermine our democratic institutions, that's not our America." Harris, 54, who became the first Indian American and the second black woman to serve in the US Senate when she took office in 2017, has joined the most diverse field of Democratic candidates in history for the presidential bid. During her 35-minute speech, she also discussed racism, police shootings and the impact of police brutality. "Too many unarmed black men and women are killed in America. Too many black and brown Americans are being locked up," the Senator said. "Our criminal justice system needs drastic repair. Let's speak that truth." 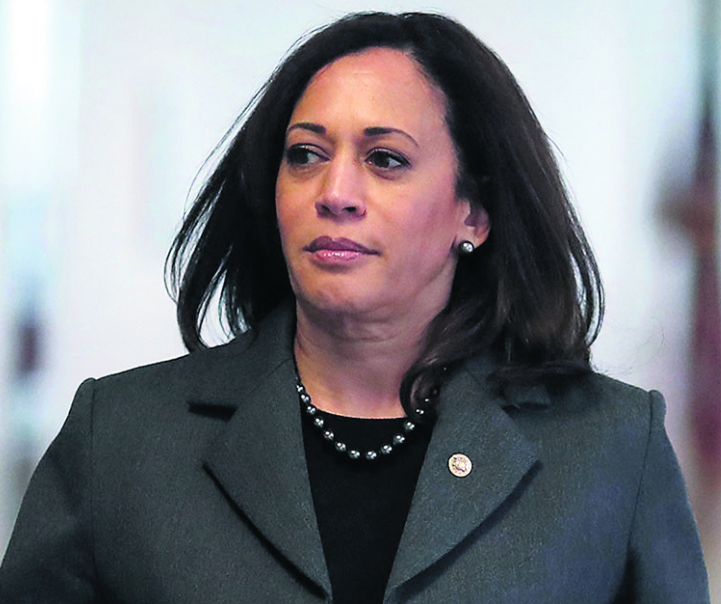 Harris framed her campaign as a response to President Donald Trump, highlighting how he has divided the country and attempting to make the case that she would unite it. "People in power are trying to convince us that the villain in our American story is each other," she said. "But that is not our story. That is not who we are. That's not our America. You see, our United States of America is not about us versus them. It's about 'we, the people'." She mocked Trump's foreign policy, saying: "We have foreign powers infecting the White House like malware." The Senator pledged that if she is elected President, she "will always speak with decency and moral clarity and treat all people with dignity and respect. I will lead with integrity. And I will tell the truth." Harris will have to first win the Democratic Party nomination next year battling several candidates, including Tulsi Gabbard, the first Hindu elected to Congress, Senator Elizabeth Warren and former Housing Secretary Julian Castro.